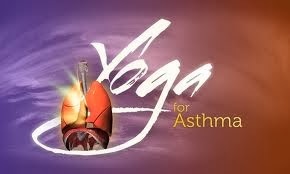 Several studies have shown yoga as an alternate therapy to cure asthma. Apart from this, several studies have shown yoga as an alternate therapy to cure asthma. Yoga is an ancient Hindu discipline that uses postures and breathing techniques (pranayama) to increase lung’s airflow, air capacity, stamina and reduce stress. Simple relaxation techniques also help to reduce stress regulate breathing patterns and also improve lung function. The Benefits of yoga, or any other relaxation techniques, are additional to the benefits of conventional drug treatment, and it is vital that patients continue to take their prescribed medication. Relaxation and deep breathing were made for each other. Both of them help you to calm down, clear your mind and re-energize your body. By spending a few minutes taking slow, controlled breaths and paying attention to your breathing rather than taking it for granted, you will notice that your breathing automatically becomes calmer. Rather than it's "normal", hyper-active state. In turn, this will bring more energy into your body and calm you down. Sit down, making sure that your posture is good and your spine is straight as possible.Place your feet flat on the floor and check that your knees are directly over your feet. Place your hands on top of your legs. Concentrate your thoughts on your ribs and your lungs. Inhale slowly and deeply. Notice your lungs filling up and your ribs expanding outwards and upwards. Then slowly exhale, again noticing your lungs slowly releasing the air you've just breathed in and your ribs gradually going back in and down. Repeat this routine once a day for up to 3 minutes when you first start out. Over the coming days, gradually increase up to 5 and then 10 minutes throughout the day as necessary.